Kids… they teach us a lot, especially when we don’t expect it. When I’m not interning for the Career Services Center or going to classes at UD, you can probably find me teaching kids how to play piano. Surprisingly, though my students have learned quite a bit about musical technicalities and how to play more than just “Chopsticks,” I, too, have learned a thing or two about public relations. 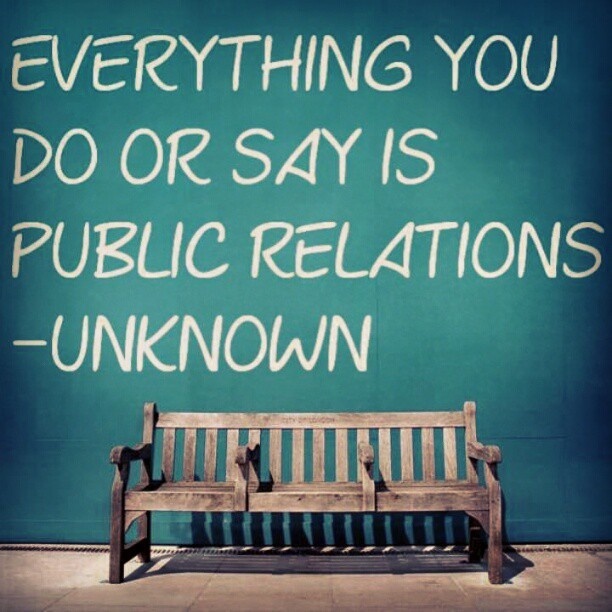 With a Communications major and a concentration in public relations, I aspire to one day work in the field of public relations. Although I certainly didn’t approach the piano teaching position with the intent of walking away with more PR knowledge under my belt, that seems to be exactly what is happening. Here Are the 4 Skills Critical to Any Job, Internship, or Career Path That You Need to Know. 1) Be flexible: Things happen. Schedules shift or change altogether and you find yourself scrambling to think of a last minute alternative. Flexibility is critical. Whether you work in music education, engineering, or the public relations field, being able to shift your schedule to meet demands exemplifies an important and desirable characteristic. The phrase “stay flexible” will always remain a quality that sets a person apart from others unable to adjust to last minute changes. Keep calm and stay flexible. Easier said than done, but oh so worth it in the end. 2) Think on your feet: One of my students was struggling to learn a particular piece of difficult music. I sensed her excitement quickly depleting and frustration starting to take its place. “How about you play the left hand and I’ll play the right hand, and then we’ll switch?” I suggested. She perked up and eagerly agreed. It was a different take on the piece, but she was learning. Transforming a mundane task into a new experience changes the whole perspective. Solve the problem by readjusting your mindset. If something doesn’t work, think of an alternative. If a task or an idea fails, always be ready with a Plan B. 3) Communicate at their level: Sometimes, a certain idea becomes so much a part of you that you forget that it doesn’t make sense to other people. If you’ve ever spoken a foreign language to someone and they look at you like you’ve gone mad, you have experienced this concept. It made sense to you, but to them, it was unfamiliar. Teaching piano lessons opened my eyes to this. Explaining to a child how to tell the difference between dynamic markings and time signatures posed an interesting obstacle for me. Break it down. I took it step by step, relating the concepts to Star Wars characters. Think outside of the box. Whether you are explaining an idea or creating a new product, relatable communication is effective communication. Anything else will just spin your audience in confusing circles. My students help me in my journey towards a public relations career, but the skills I have learned so far are beneficial to any career path. By teaching me flexibility, time management, message adjusting, and thinking in the moment, my job proves to be more than just merely helping kids learn an instrument. It has become a place where I sharpen the skills critical to any job, internship, or career path.